NORLHA is a not-for-profit, non-political, non-religious, non-governmental organization (NGO) based in Lausanne, Switzerland. 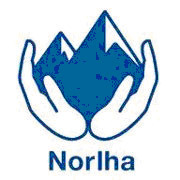 Founded in 2005, NORLHA has built its operational expertise and implementation capacity in community development in Health care, Agriculture & Nutrition, Education, Environment and Gender. At North Star Alliance, our mission is to provide mobile workers and their communities with sustainable access to high quality health and safety services. Médecins Sans Frontières is an international, independent, medical humanitarian organization that delivers emergency aid to people affected by armed conflict, epidemics, healthcare exclusion and natural or man-made disasters.